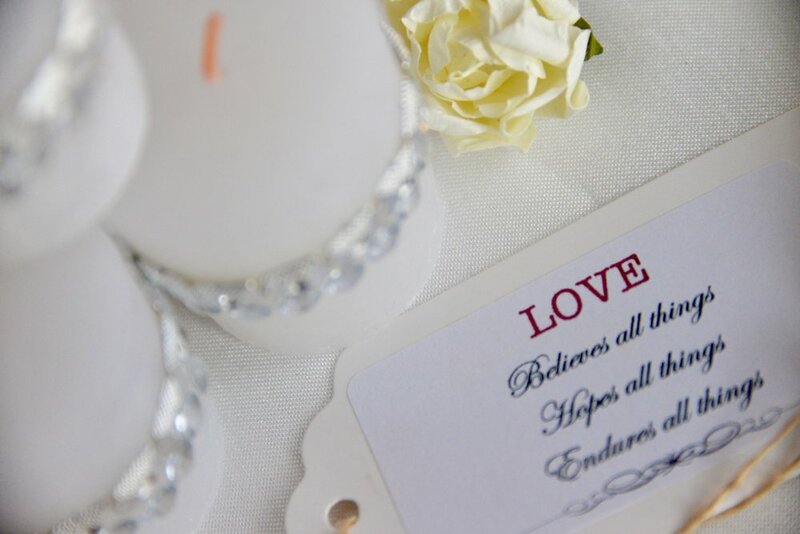 A GREAT GIFT TO GIVE YOUR GUEST TO REMEMBER YOUR SPECIAL DAY!!! 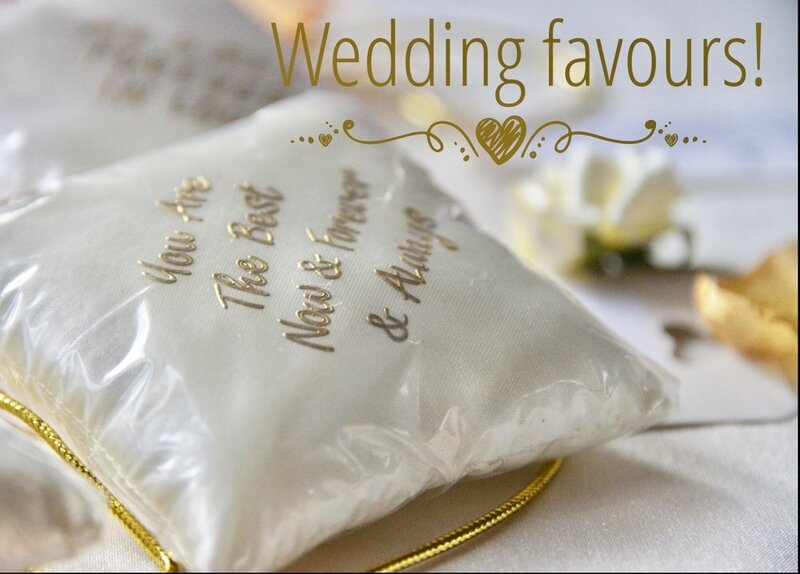 CUSTOMISE YOUR WEDDING FAVOURS TO YOUR REQUIREMENTS!! 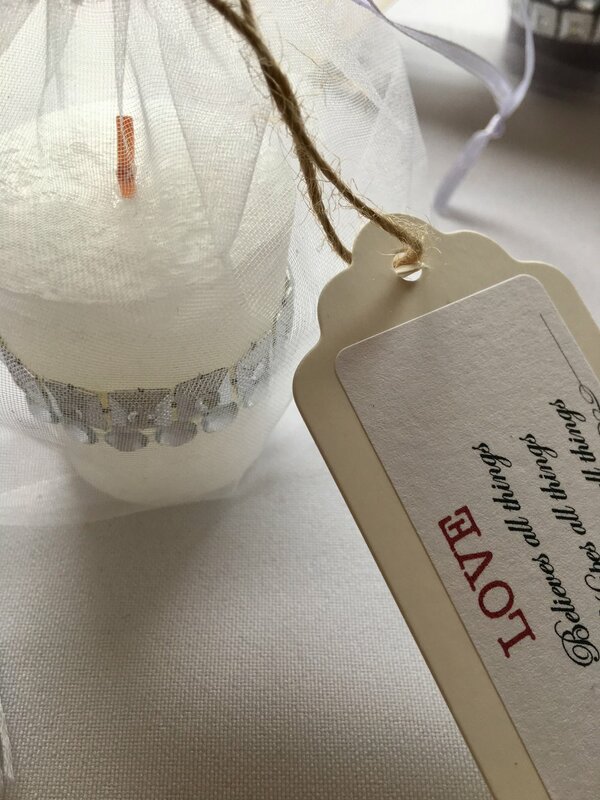 We can make you that special gift unique to each guests..... the choice is yours. 7 1/2 cm x 7 1/2 cm. 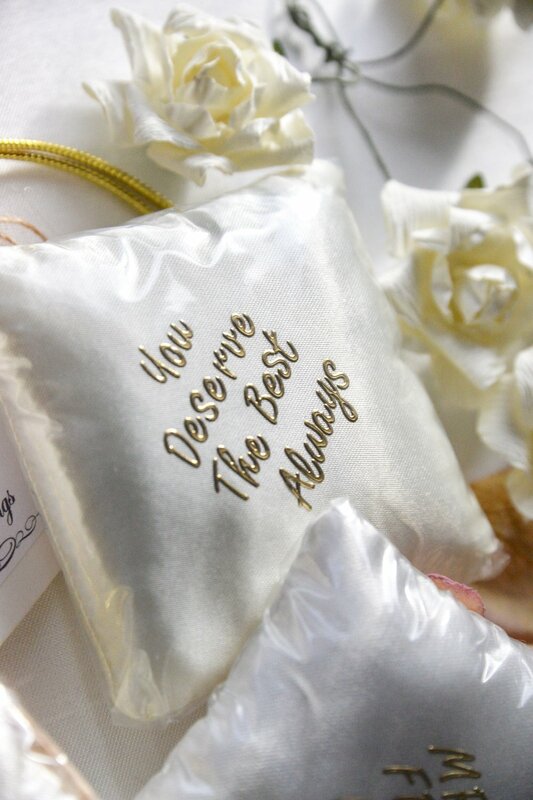 Your cushion will be presented in a organza bag with that special message on the tag. 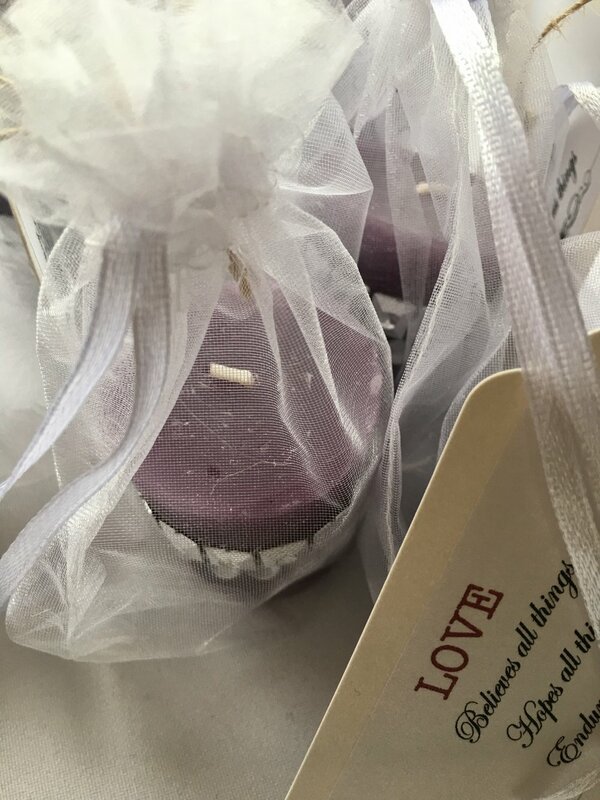 Each candle is fragranced & presented in a organza bag tagged with a special message for your guests. We can customise the colours to suit your wedding theme.